Diners enjoy a selection of freshly caught seafood sourced from nearby Rawai fishermen’s village, delivered once or even twice daily, in line with THE NAI HARN’s commitment to sustainable food sourcing. 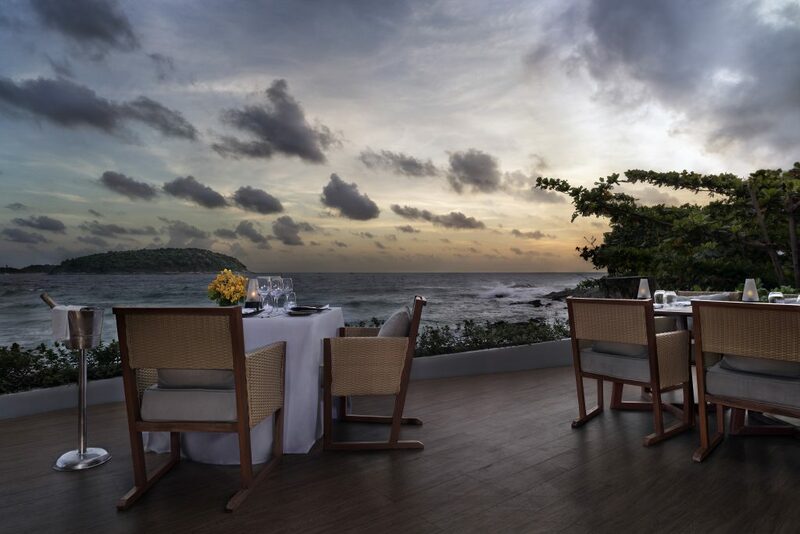 Catch of the Day signatures include juicy white snapper ceviche, an indulgent Andaman seafood platter and an understated yet memorable whole baked fish prepared in a wood fired oven. To complement the fine flavours of the sea, Rock Salt offers meat lovers a rare choice of exquisite cuts, including pasture raised Angus beef from Argentina and Australia, dry aged for 30 plus days by our skilled team of butchers to add a depth of flavour. Signatures include steaks such as Tomahawk, rib eye, flank and a stunning steak tartare that melts on the tongue.